Just minutes ago, Colin Giles, EVP of Nokia, took to the stage at a Nokia event in Hong Kong to unveil the company’s new line of Symbian powered smartphones; the Nokia 600, 700 and 701. Nokia new devices all take on Nokia’s new naming strategy and will be powered by Nokia’s latest Symbian update, Symbian Belle. The new operating system update will provide new widgets, allow for deeper customisation and allow devices to utilise new apps built to utilise Nokia’s range of NFC-equipped smartphones. Symbian Belle-powered Nokia smartphones will be now have six homescreens, sport an improved status bar that provides a pull down tab and incorporates missed calls, messages and settings. 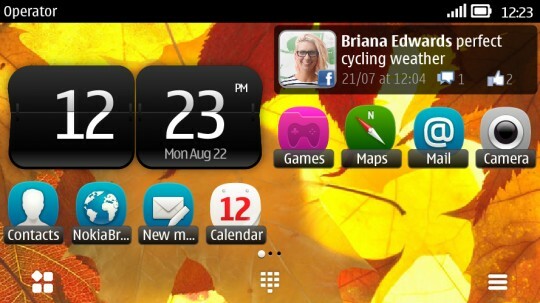 Navigating Symbian Belle devices will be easier, with the addition of a navigation and options bar. Nokia has improved the way new Nokia devices utilise multitasking, and a new informative lockscreen. 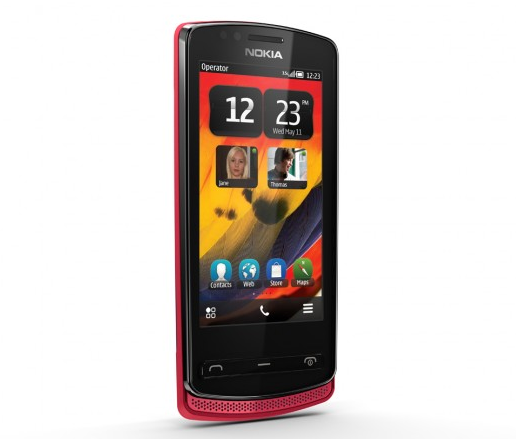 The Nokia 700, will launch with as “the most compact touch monoblock smartphone in the market right now”, measuring just 110 x 50.7 x 9.7mm and weighing 96g. It’s got a 1GHz processor, 3.2-inch AMOLED screen, boasts battery life of up to 7.3 hours talk-time or up to 465 hours on standby. The camera has a 5-megapixel full focus camera with an LED flash and comes with 2GB of user memory plus a MicroSD card slot for up to 32GB of extra storage. The device also has a NFC chip and can couple with Nokia’s new NFC-enabled accessories. 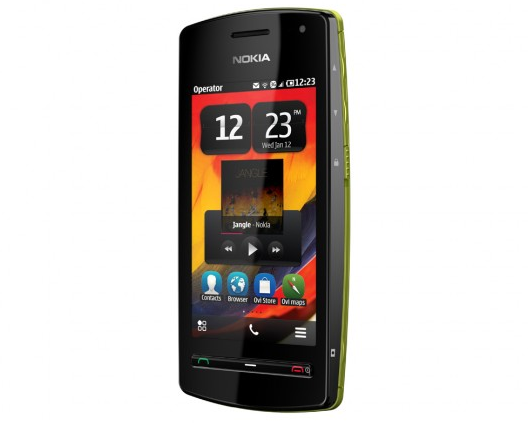 The Nokia 701 is said to have the brightest screen in the world, shipping with a 3.5-inch IPS LCD display with ClearBlack technology. Again, the device is Symbian Belle powered and comes with a 1GHz processor, a pentaband radio and has a brand new graphics co-processor. It’s small, with dimensions 11 x 56.8 x 117.3mm and weighs 131g. The handset comes with a 8-megapixel full focus camera with a dual-LED flash on the back and one of the front for video calling. Inside there’s 8GB of internal memory an support for 32GB SD storage. 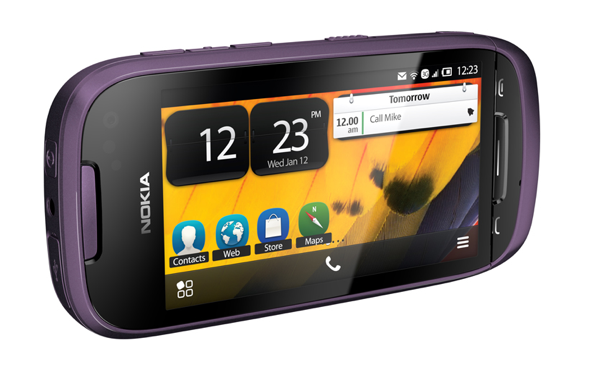 The Nokia 600 launches as Nokia’s all-in-one media phone. It has a super load speaker, supports NFC (supporting Angry Birds and Fruit Ninja which is included on the device). Similar to the 700 and the 701, the Nokia 600 has a 1GHz processor, a 3.2-inch nHD capacitive touch screen with a resolution of 640 x 360 pixels A-GPS is included, with an accelorometer and magnetometer. Each device is expected to launch in the third quarter, with the Nokia 600 costing EUR 180, the Nokia 700 set at EUR 270 and the Nokia 701 priced at EUR 290.